You will find below the steps to disable the webcam on your Windows 10 Computer, in case you are concerned about the privacy of your kids or teenagers being compromised due to the possibility of someone getting remote access to the webcam on their computers. Most laptops come with a built-in integrated web camera, so as to allow users to hold video chats with friends, relatives or use the webcam for business related conferencing. However, not everyone uses the Webcam on a Laptop and there are increasing number of users who would like to disable the webcam on their computer for security reasons. As you must be aware, there are a number of reported cases of unsuspecting computer users being Watched, Monitored and even Recorded remotely by undesirable elements who were able to gain access to the webcams by using Remote Access Technology (RAT). 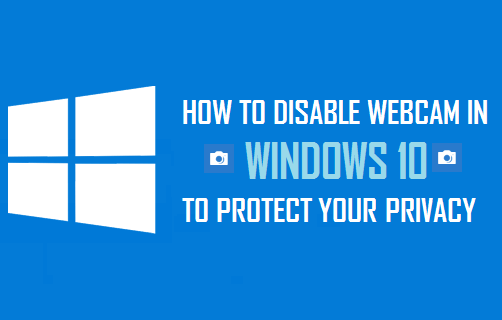 Hence, we are providing below the steps to disable the webcam on your Windows 10 Computer and also the steps to Enable the Webcam back, in case you come across the need to do so. 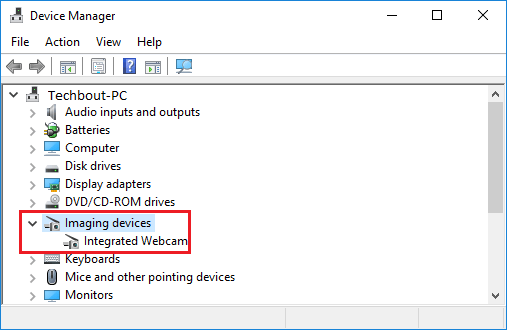 Follow the steps below to disable the webcam on your Windows 10 Computer. 1. Right-click on Windows 10 Start button and then click on Device Manager in the menu that appears. 2. On the Device Manager window, click on the down-arrow next to Imaging Devices. You should be able to see the Integrated Webcam in the expanded entry (See image below). 3. Next, right-click on Webcam and then select Disable in the menu that appears. 4. You will see a pop-up prompting you to confirm that you do want to disable your webcam. Click on Yes to Confirm your action. This will disable the integrated Webcam on your Windows 10 Computer. You may need to restart your computer; in case you do not see the Webcam being disabled. Note: You can also cover the webcam with an electrical tape or a paper sticker. 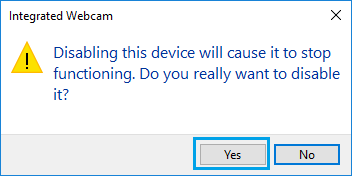 You may want to do this, even after disabling the webcam using the Device Manager. 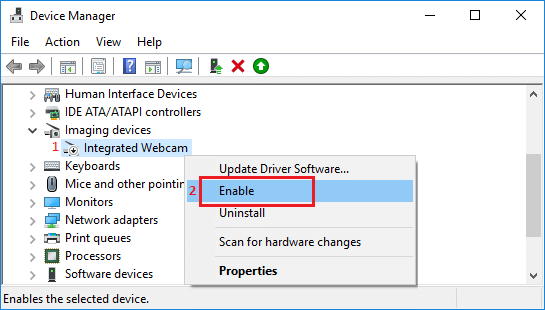 At any time you can enable back the Webcam on your Windows 10 Computer by following the steps below. 2. 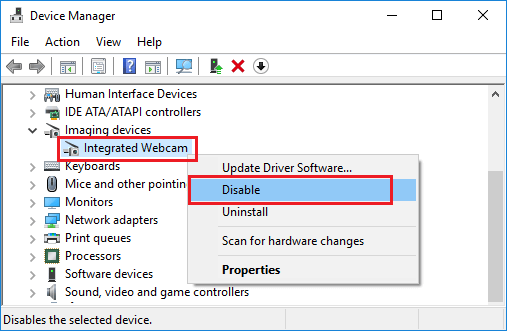 On the Device Manager window, click on the down-arrow next to Imaging devices, in order to expand this entry and locate Integrated webcam in the expanded entry (See image below). 3. Next, right-click on Webcam and then select Enable in the menu that appears.